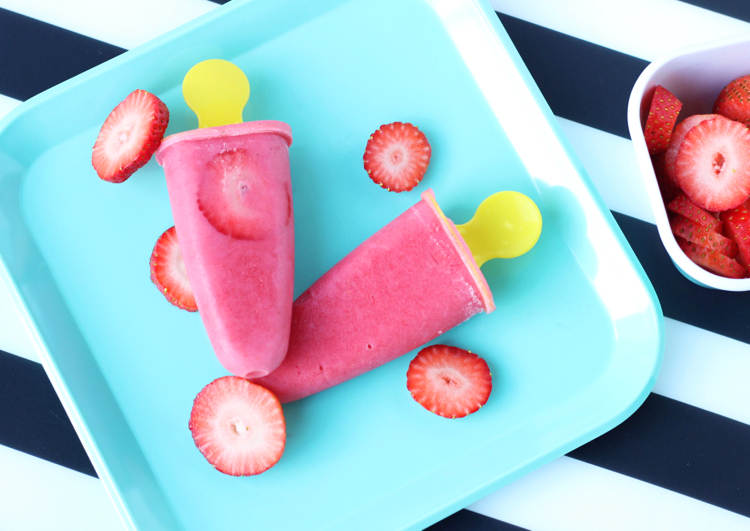 Pool party or playdate, these Strawberries and Cream Popsicles are sure to keep you cool and your sweet tooth satisfied this summer! 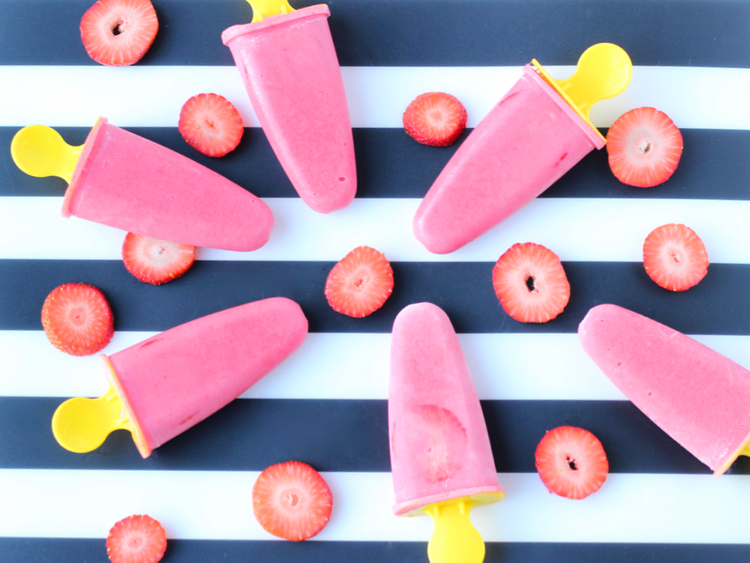 Don’t these popsicles just shout Summer time? 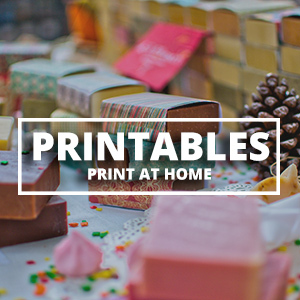 They are bright, colorful and oh so sweet! I love how these pictures turned out. With just three ingredients you can pull off the easiest treat that the kids can take outside and enjoy. 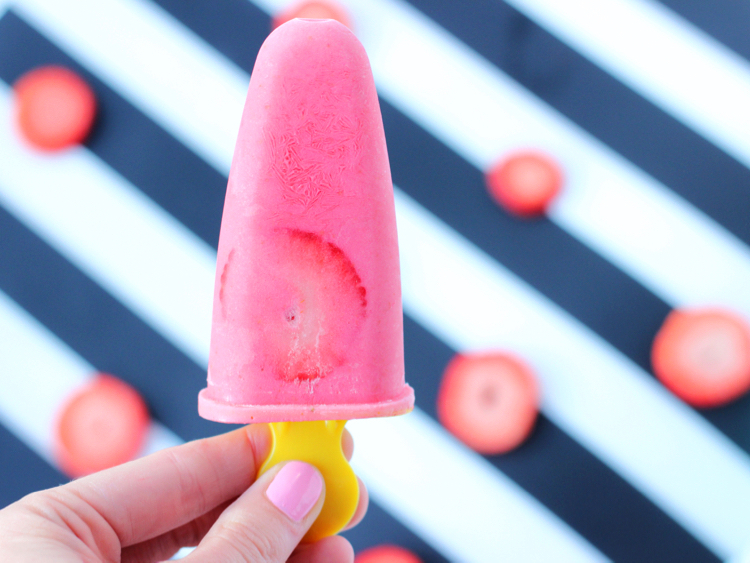 I added a little Greek Vanilla yogurt to make the popsicles both creamy and tart! Not only that, this treat is sugar free! 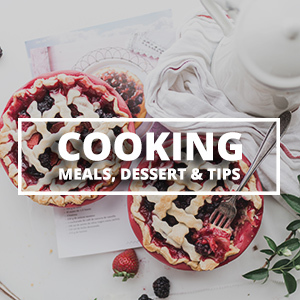 Only natural sugar from the strawberries – so its actually a pretty darn healthy treat, too! I love easy, delicious and healthy treats like this one!! YUM! 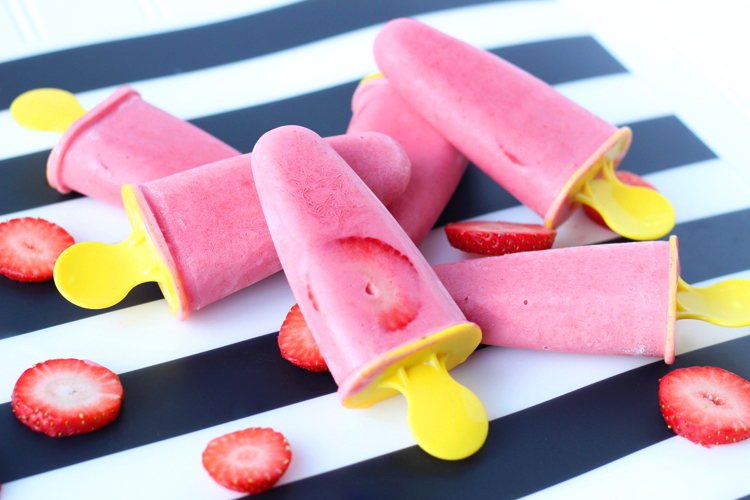 Then just for the affect, I decided to add a slice of strawberry to the side of the popsicles! It was a nice little surprise once they were all frozen. Doesn’t it look so cool!? Pun intended! Check out the recipe and let me know what you think!! 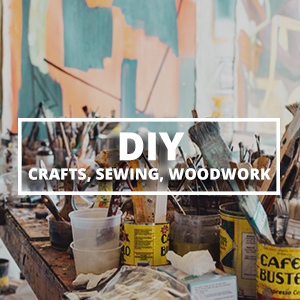 Or more importantly, let me know what your kids think!! 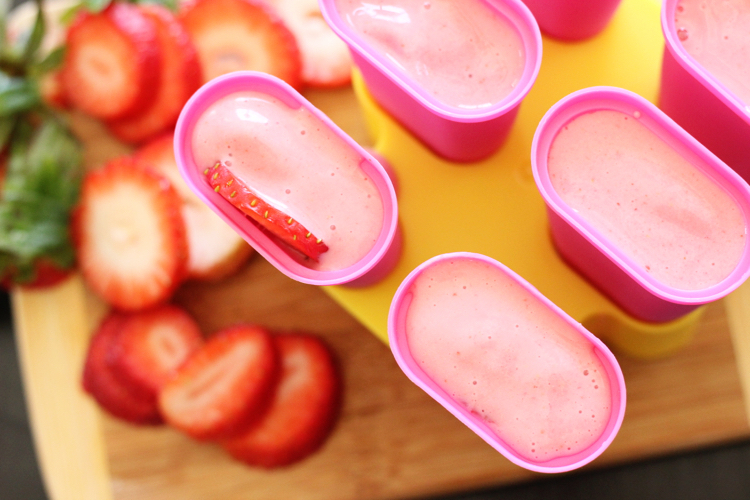 Pour into popsicle molds and freeze for 4-5 hours!